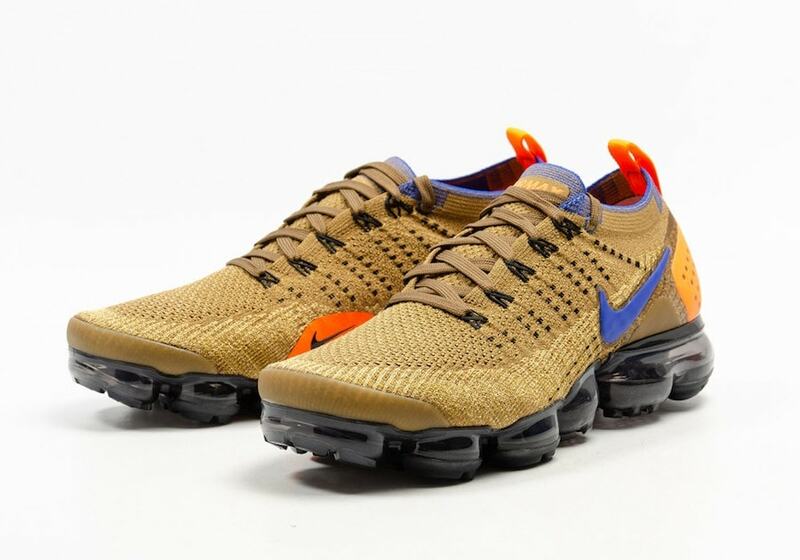 Nike’s Flyknit Vapormax is constantly churning out new iterations and colorways of the running shoe for its many fans. This week, the silhouette debuted in a new ACG-inspired colorway, with a stateside release expected soon. 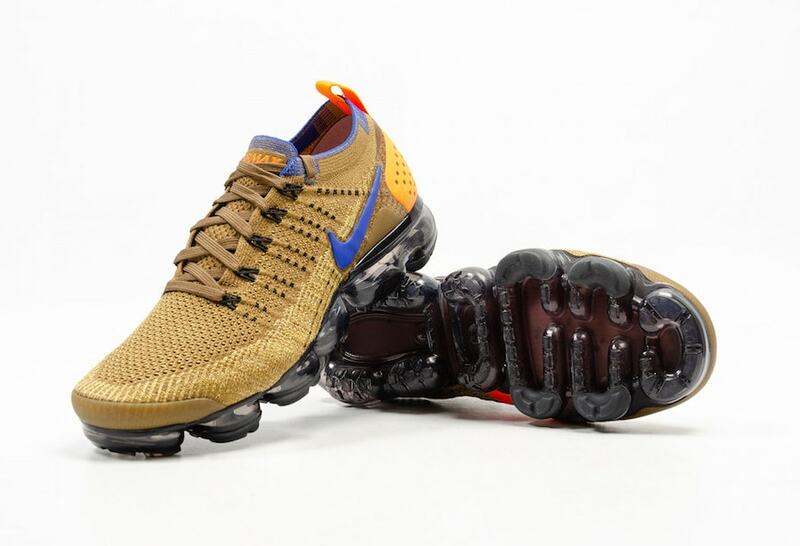 The Nike Air Vapormax is one of the most stylish sneakers currently available from the brand. While the bulbous evolution of Air was intended for running, its found a better purpose across a massive span of Nike lifestyle silhouettes. 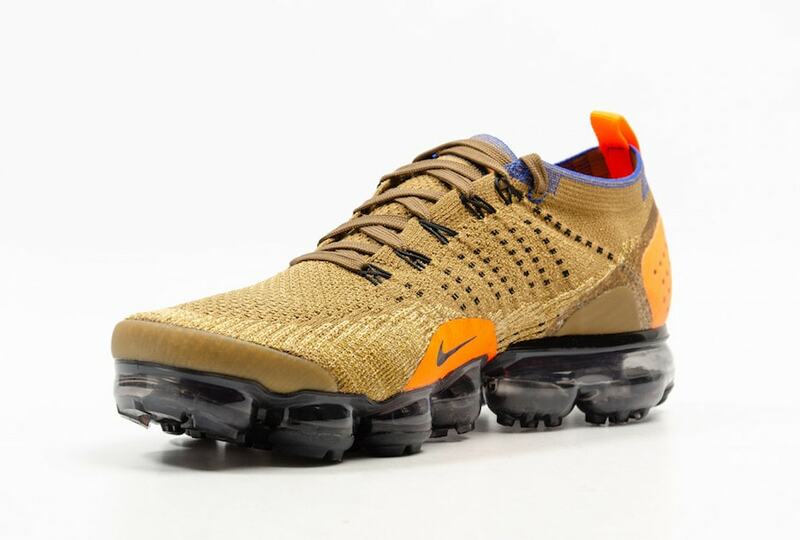 However, the original Vapormax Flyknit still made its way to the front of the pack, leading the charge of what made Vapormax cool. Now, Nike is several months into the shelf-life of the Vapormax Flyknit 2, a worthy upgrade to the original. This month, Nike has an exciting new colorway to add to the mix. 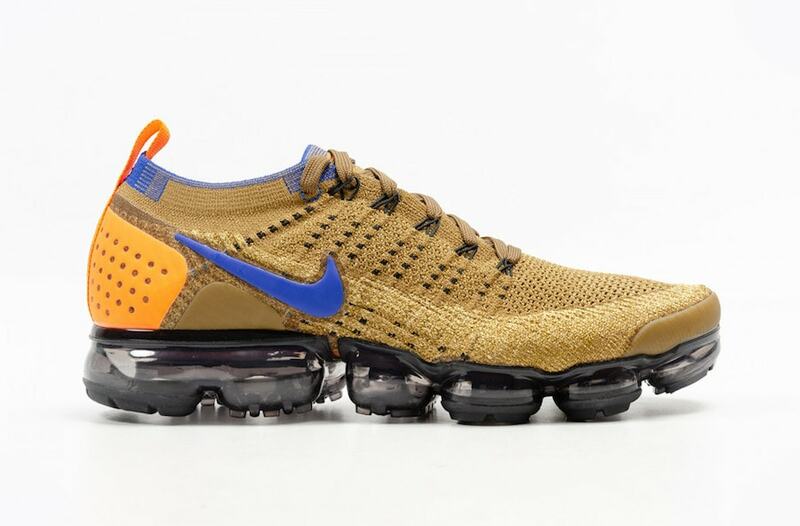 Based on their historic ACG gear, the new color scheme begins with a golden beige color for the Flyknit upper. 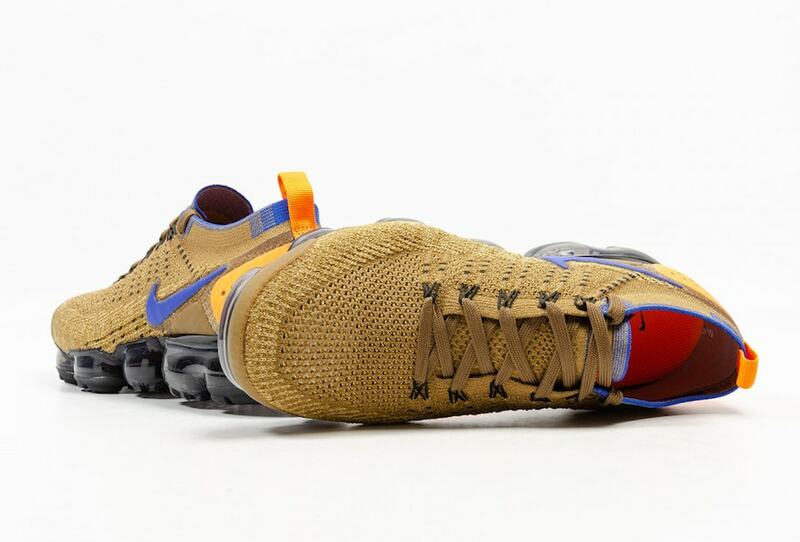 Several of the heel overlays have been dipped in bright orange to accent the color, while a bold blue Swoosh and collar lining help to round out the look. The next colorway in line for Nike’s Flyknit Vapormax 2.0 has not yet been announced for release, though they are expected to drop soon. 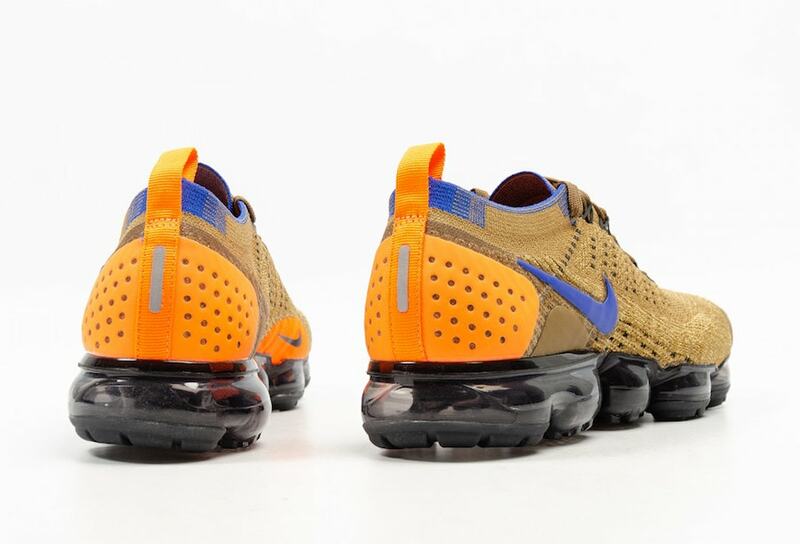 The ACG-inspired colorway will retail for the usual $190 price tag, and launch from both Nike and select retailers. 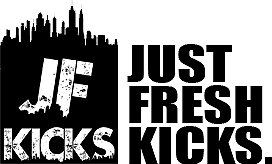 Check out the official images below for a better look, and stay tuned to JustFreshKicks for more Nike Vapormax news.